Coconut Milk is so delicious and easy to make. It works great on hot chocolate and a dollop on top of strawberry shortcake taste like heaven! Refrigerate coconut milk for at least 24 hours (a tip- when you take it out to use put another one in right away so you never have to worry about missing a whipped cream making opportunity). Put bowl, whisk, and the refrigerated can of coconut milk into freezer for 15 to 20 minutes. Once thoroughly chilled (like so) whisk with a Kitchen Aid or Hand mixer for 30 seconds on high speed until coconut milk is moderately thickened. 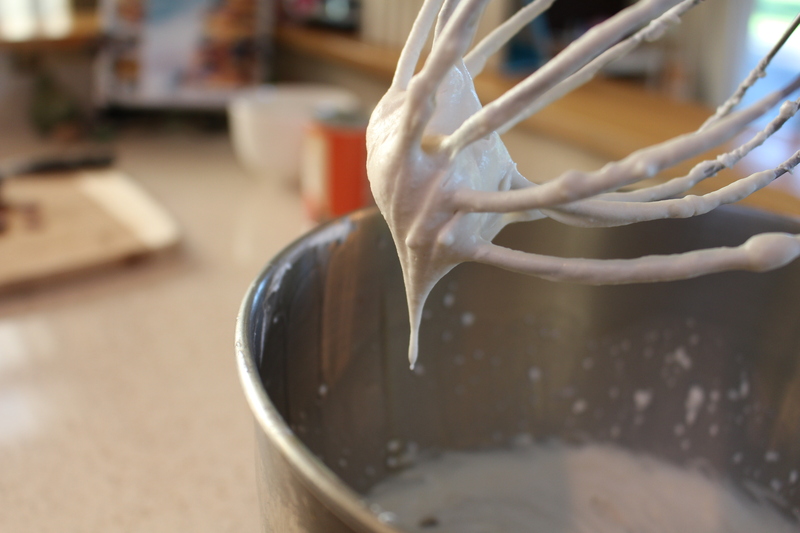 Whisk for another 30 to 60 seconds until stiff peaks form and it becomes the consistency of whipped cream. The whipped cream should be able to stay on the whisk without dripping. This will keep for 3-5 days. You may notice liquid forming under the whipped cream. Don’t worry, it is completely normal- just discard it or reincorporate it by whipping the cream again. I really love your blog, your posts are all so amazing 🙂 I am so glad I got to discover you!